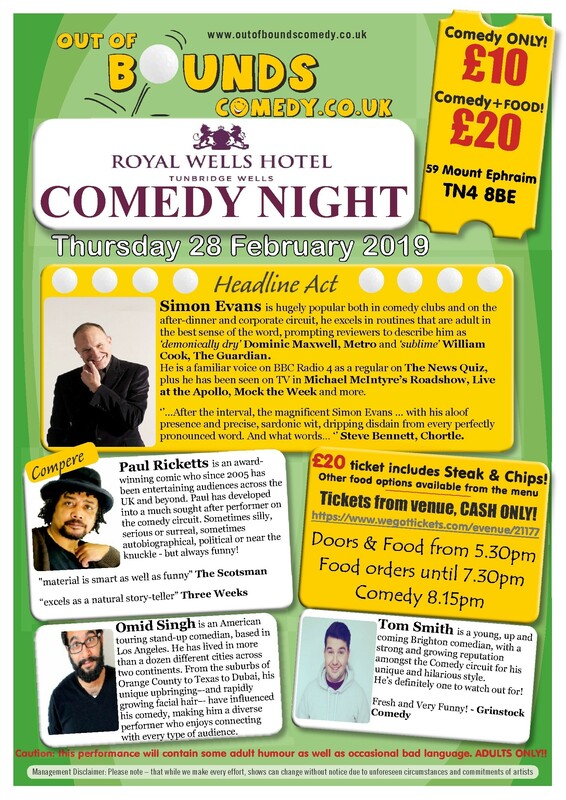 More Top Class Comedy at our new venue in Tunbridge Wells bringing you a selection of the very best acts from the UK and World comedy circuits. This is a perfect venue for comedy with a friendly lounge style set up that will create a superb atmosphere. Come and enjoy some food before the show starts and make it a real night out. General Admission-£20 includes Comedy and Steak & Chips. The normal menu is also available to order. Call 01892 511188 to book a table. Admission for comedy only - Display your ticket/s upon arrival, we'll email them to you. Enjoy the show.